(Brookings) On October 31, 2018, Vanda Felbab-Brown submitted a statement for the record for the the Standing Committee on Foreign Affairs and International Development of the House of Commons, Canada on developments in Somalia, for a hearing on Somalia, South Sudan, and the Democratic Republic of the Congo. Her testimony was originally published here. Al Shabab still controls tracts of rural central, southern, and western Somalia, including in the regions of Lower and Middle Juba, Lower and Middle Shabelle, Hiraan, Gedo, Bay and Bakool, Mudug, Galguduud, and Puntland, as well as major roads throughout the country. It regularly takes over major towns, particularly as some AMISOM forces, such as from Ethiopia, have started to withdraw. AMISOM has been plagued by intelligence, logistical, and mandate deficiencies and rivalries among contributing members. It lacks offensive capabilities, rapid strike forces, adequate airlift and mobility assets, and force enablers and supporters. Funding uncertainty also continues to plague the mission. In January 2016 the uncertainty and AMISOM dissatisfaction with payments worsened when, for multiple reasons, the European Union (EU), the sole entity paying the salaries of AMISOM soldiers, decreased its stipend contribution by 20 percent (from US$1,028 per soldier per month to US$822). [1 ]As of September 2018, the EU was yet to define its funding commitment to AMISOM beyond 2018. Neither AMISOM nor the Somalia National Army (SNA) have developed adequate military holding capacity after clearing operations. Because of lack of local language capacities, overstretch, and its weak force-protection posture, it rarely engages proactively with local populations in areas of its garrisons. As a result, the crucial holding function once again is left to clan and warlord militias. AMISOM, like the SNA, explicitly rely on and use clan militias, though these actors subscribe to no international standards of conduct, face no accountability for their human rights violations, and often use child soldiers. Unable to receive formal international salary assistance, beyond clandestine income from foreign intelligence services operating in Somalia, these militias engage in extensive extortion and predation of local communities, discrimination against rival clans, and the theft of their resources, such as land or water, as well as rapes. Although the total number of militiamen may be in the tens of thousands, there is currently no demobilization program for the militias. However, local communities complain equally of extortion, predation, and land and resources theft by various factions of the SNA and Somali National Police (SNP). Like Somalia’s intelligence services, the SNA and SNP are extensively infiltrated by al Shabab operatives. In May 2017, the government of Somalia, with backing from international partners and buy-in from Somalia’s federal states, presented a national security pact defining Somalia’s national security architecture. Under the Security Pact, which envisions Somalia’s security apparatus to be “able, accountable, affordable, and acceptable” to Somali society, federal states were to integrate their regional forces into the SNA. At least some of the militias were also to be integrated into state and national police forces. However, as the planned size of the SNA is to be 18,000 and the size of future federal and state police capped at 32,000, there will not be enough space in the formal security sector for many existing state, clan, and warlord militia members. Many other challenges regarding the force structure persist. Moreover, given the crisis in relations between the federal government and federal states that has persisted throughout most of 2018, the federal states’ commitment to such integration of forces appears to have dissipated. Meanwhile, the Somali national forces remain notoriously undertrained and under-equipped as well as corrupt. The SNA consists mostly of ineffective battalions that are unable to pair up with AMISOM even for joint holding operations, let alone offensive actions against al Shabab. Despite extensive allocation of resources to training, the SNA itself remains a hodgepodge of local clan forces and militias and are riddled by clan and patronage cleavages, resulting in various units fighting each other, such as over control of checkpoints that can be exploited for illegal rent extraction. Nominally, the Somali Ministry of Defense has some 29,000 on its payroll, but of that number only 12,000 may actually be fighters, with the rest widows and the elderly. Debilitatingly, money for police officers and soldier salaries, paid for by the international community, are often stolen in Mogadishu, thus undermining the morale and cohesion of the government’s forces. 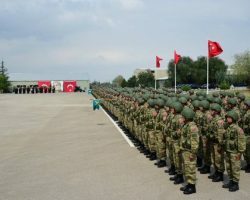 The Operational Readiness Assessment that the Somali government undertook of the SNA in late 2017 revealed deficiencies across the board of the entire military, from command and control, to cohesion, training, equipment, logistics and enabler support, morale, corruption, and factionalism. It remains to be seen whether the federal government will be able to undertake the necessary reforms. In 2018, AMISOM began the transition process for greater reliance on Somali forces, slightly reducing its presence in Somalia, following the informal withdrawal of Ethiopian forces in 2017. But in July 2018, recognizing the woeful lack of readiness of the Somali security forces and the entrenchment of al Shabab, the United Nations Security Council extended AMISOM’s mandate. Instead of AMISOM’s mission ending in 2020 as previously planned, Somali security forces are to remain in the lead of Somalia’s security. AMISOM — whose country contingents are to various degrees embedded in numerous legal and illegal forms of Somalia’s political economy, such as charcoal, fuel, and sugar trading and smuggling, has engaged in only limited transition planning with the international community and the Somali government. The unannounced withdrawals of several Ethiopian military contingents in Somalia had left behind significant power vacuums, rapidly filled by al Shabab and significantly worsening the security of local civilian populations. Al Shabab has thus been able to expand its territorial reach and regain some previously lost territory. In early 2018, some elements of a transition plan were agreed to, but execution has lagged substantially behind. Al Shabab’s current strength is estimated to be between 2,000 and 3,000 active combatants. In 2017, al Shabab engaged in intensified recruitment among Somalia’s many unemployed young men and resorted to significantly increasing forcible abductions of children. And while the tempo and number of security incidents during 2017 fluctuated and in the latter part of the year went down, the severity of attacks — from bloody terrorist incidents in Mogadishu to takeover of towns as close to Mogadishu as thirty kilometers — increased. Al Shabab has also resorted to charging more frequent and more pervasive zakat fees on any economic activity. 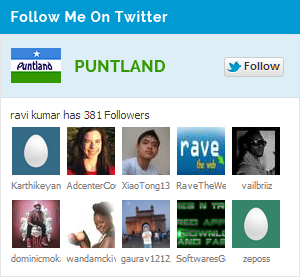 Moreover, al Shabab is not the only militant actor in Somalia. More than 60 warring parties are present in in the country, from clan and warlord militias to various other militant groups, such as the Sufi al Sunna or the Islamic State. A splinter group of al Shabab, the Islamic State has been based mostly in Puntland, a major entry-point for various illicit and smuggling networks and a former hub of Somali pirates. Lately, the Islamic State appears to have expanded its operations also to Mogadishu. Nonetheless, in comparison to al Shabab, it remains a much weaker militant group. The government of Somalia and the international community have principally relied on militarily defeating al Shabab; and there is no immediate prospect for Somali government negotiations with al Shabab. However, aware of the limits of the military counterinsurgency efforts, the Somali government has completed the military efforts with declarations of amnesties for jihadi militants, ad hoc political deals with splinter groups, and disarmament, demobilization, and reintegration (DDR)-like programs for defectors and populations living under militant rule. Their purpose is to weaken al Shabab on the battlefield. Somali government officials and implementing international partners report that al Shabab defectors numbering in the low thousands have gone through such programs. Clan discriminations and rivalries continue to prevail and debilitate governance, producing hung governments unable to produce laws and policy at the federal level and incessant political infighting and discrimination against minorities also at the federal level. The legal formalization of the 2012 provisional constitution as well as of some of Somalia’s existing six states are yet to take place. Recent efforts to create pan-clan political parties as a result of new electoral legislation, attempts change the rules of impeachment to limit this frequent tool of political and financial extortion, and mechanisms to strengthen the capacity of the federal government to provide revenues to federal entities are beacons of hope that the political and clan infighting can diminish in the future. Moreover, al Shabab is significantly better able to provide security for the movement of vehicles and individuals on the roads it controls than are other actors. Militias and police and SNA units often charge varying, multiple, and high fees, along their segments of the road; and cargo and people are still subject to ambushes, robberies, and rapes. In contrast, checkpoints manned by al Shabab charge one uniform fee, with entering vehicles receiving a receipt, and the people and cargo allowed to proceed safely. Al Shabab also outcompetes other actors in Somalia in its capacity to deliver justice and dispute resolution. It retains a reputation for delivering swift, effective, and, crucially, non-corrupt and fair rulings to disputes based on sharia. Thus even people from government held territories, and by some anecdotal accounts occasionally even policemen, go to al Shabab for dispute resolution. In contrast, the formal judiciary is perceived as overwhelmingly corrupt, dominated by certain clans, and operating on the basis of outdated 1960s statutes, thus delivering dispute outcomes based on bribes and clan standing. Even though efforts are under way to improve the neutrality and functionality of the formal judiciary, a long and complicated road lies ahead. Less arbitrary and corrupt formal justice procedures are of course also dependent on the functionality of police and its ability to gather evidence of crime, a precondition that rarely exists in Somalia. These federal government-federal state tensions have been exacerbated by the Gulf crisis that pitted Saudi Arabia and the United Arab Emirates (UAE) against Qatar, and by extension Turkey. All four countries have been intensively involved in Somalia and have been Somalia’s major donors of economic and military support and trading and investment partners. Saudi Arabia and UAE sought to force the federal government into supporting their side. When President Mohamed at first refused such pressure, declaring neutrality and refusing to sever ties with Qatar and Turkey, Saudi Arabia and UAE adopted various punitive political and economic measures. UAE also intensified its efforts to cultivate support among various Somali politicians and within federal states, often frustrating the agenda of the federal government. In response, federal states, often dependent on UAE funds and investment, publicly sided with UAE and Saudi Arabia. Bypassing Mogadishu, several states, including Somaliland, accelerated negotiations with the Emirati conglomerate DP World servicing Emirati strategic interests over a variety of investments, such leases of local ports. 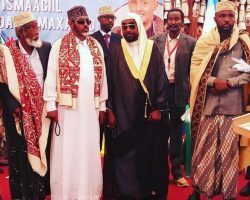 Somaliland’s finalization of a Berbera port contract with DP World prompted fury in Mogadishu, with Mogadishu seeking to stop the deal and the Somali parliament prohibiting it from going forward. In April 2018, the Somali government also confiscated millions of dollars from an Emirati airplane, alleging the money was meant for rival politicians. UAE then suspended its aid to Somalia, including the training of SNA forces, and withdrew all of its personnel from Mogadishu. However, UAE has continued cultivating the federal states, sticking to its port agreements with Somaliland regarding the Berbera port and with Puntland regarding the port in Bosaso. 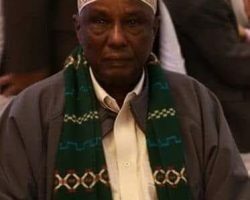 It is also reportedly negotiating with the Jubaland government over the development of the Kismayo port, despite objections from Mogadishu. Unrelated to the repercussions of the Gulf Crisis in Somalia, the government of Germany also ended its participation in EU’s military training mission in Somalia in early 2018. The German government cited the slow progress of the development of the SNA and its many challenges. However, Germany promised to retain its support to the civilian structures of Somalia. It has been one of the principal funders of the low-risk defectors’ program. On the up side, the federal government of Somalia scored a major victory in October 2018, when the European Union for the first time in decades agreed to channel the vast majority of its 2.5-year aid package of €100 million, pledged at the Somalia Partnership Forum in Brussels in July 2019, to the Somali government’s budget. A vote of confidence that the federal government can better control pervasive corruption, this on-budget funding, formally called the State Building and Resilience Contract in Somalia, promises to strengthen the institutional capacities and delivery by the Somali federal government to the Somali population, increasing the government’s legitimacy. Such on-budget funding is also meant to improve the capacity of the federal government to transfer money to federal states, a mechanism expected to mitigate the federal-federal tensions. Whether that hope will indeed materialize, or, in the current federal crisis context, will be seen by the federal states as their defeat, remains to be seen. So does whether Somalia will have the will and capacity not to waste the financial aid through corruption. The disbursement of the funds is to be sequenced and closely monitored and tied to regular assessments against indicators and safeguard measures. In September 2018, the World Bank also approved its first grant to Somalia in thirty years, with US$60 million for Recurrent Cost and Reform Financing Project and US$20 million for the Domestic Revenue and Public Financial Management Capacity Strengthening Project. 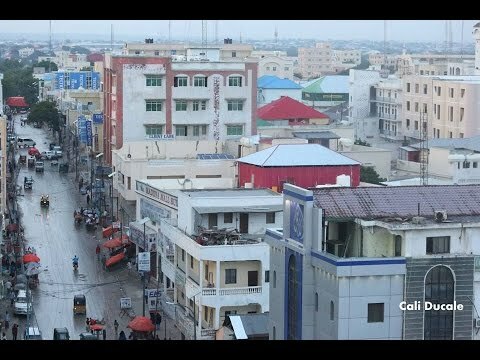 The World Bank also promised to collaborate with the Somali government on improving healthcare and education, and access to clean water, energy, and finance for Somali citizens under a program known as Country Partnership Framework. Although agriculture is seen as key for the long-term growth of the economy and job generation, it remains critically vulnerable to shocks, resulting in repeated famines. Thus the main drivers of growth in the short term remain trade, communications, and the financial and transport sectors. 1 “The Impact of New Funding Uncertainties on AMISOM,” Peace and Security Council Report, Institute for Security Studies, March 7, 2018, https://issafrica.org/pscreport/addis-insights/the-impact-of-new-funding-uncertainties-on-amisom. 2 Author’s interviews with Somali and international political analysts, UN officials, and Somali NGO representatives, Mogadishu, December 2017. 3 London Conference: Somalia, May 11, 2017, “Security Pact,” https://unsom.unmissions.org/sites/default/files/london-somalia-conference-2017-security-pact.pdf. 4 “Q&A with Somalia’s National Security Advisor Abdisaid Ali: Somalia Charts Security Transition,” Africa Center for Strategic Studies, July 17, 2018, https://africacenter.org/spotlight/qa-somalia-charts-security-transition/. 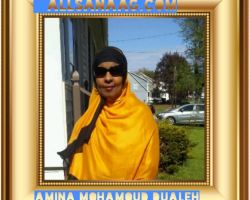 5 Author’s interviews with officers of the SNA, former Ministry of Defense officials, members of Somalia’s parliament defense committee, and international security advisors in Somalia, Mogadishu, December 2017. 6 “Managing the Disruptive Aftermath of Somalia’s Worst Terror Attack,” International Crisis Group, Africa Briefing No, 131, October 20, 2017, https://d2071andvip0wj.cloudfront.net/b131-managing-disruptive-aftermath-of-somalias-worst-terror-attack.pdf; and Cedric Barnes and Zakaria Yusuf, “Somalia’s Al-Shabaab Down but Far from Out,” International Crisis Group, June 27, 2016, http://blog.crisisgroup.org/africa/somalia/2016/06/27/somalias-al-shabaab-down-but-far-from-out/. 7 United Nations Security Council, Resolution 2431 (2018), S/RES/2431 (2018), https://www.un.org/press/en/2018/sc13439.doc.htm. 8 Journalists for Justice, “Black and White: Kenya’s Criminal Racket in Somalia,” Nairobi, November 2015, http://www.jfjustice.net/userfiles/file/Research/Black%20and%20White%20Kenya’s%20Criminal%20Racket%20in%20Somalia.pdf. 10 Author’s interviews with UN officials, other humanitarian actors, international security advisors, and Somali security analysts, Mogadishu, December 2017. 11 Author’s interviews with Somali security analysts and Somali businessmen, Mogadishu, December 2017. 12 United Nations Office for the Coordination of Humanitarian Affairs, “Somalia: 2018 Humanitarian Needs Overview,” November 2017, https://www.humanitarianresponse.info/system/files/documents/files/20172911_somalia_humanitarian_needs_overview_2018.pdf. 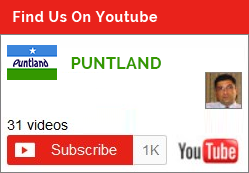 13 Vanda Felbab-Brown, “Puntland’s Problems,” Foreign Affairs.com, June 15, 2017, https://www.foreignaffairs.com/articles/africa/2017-06-15/puntlands-problems. 14 Author’s interviews with Somali government officials and implementing partners, Mogadishu, December 2017. 15 Vanda Felbab-Brown, “Securing Somalia?” ForeignAffairs.com, February 20, 2017, https://www.foreignaffairs.com/articles/east-africa/2017-02-20/securing-somalia. 16 Author’s interviews with Somali NGO representatives, businessmen, intelligence officers, members of parliament, and international humanitarian actors, Mogadishu, December 2017. 17 Author’s interviews with Somali businessmen, NGO representatives, journalists, and military officials as well as international political analysts, Mogadishu, December 2017. 18 For a review of various justice mechanisms in Somalia, see, for example, Andre Le Sage, “Stateless Justice in Somalia: Formal and Informal Rule of Law Initiatives,” Centre for Humanitarian Dialogue, July 2005, https://www.files.ethz.ch/isn/20303/Somalia_stateless_justice.pdf. 19 International Crisis Group, “Somalia and the Gulf Crisis,” Africa Report No. 260, June 5, 2018, https://d2071andvip0wj.cloudfront.net/260-somalia-and-the-gulf-crisis_0.pdf. 20 International Crisis Group, “The United Arab Emirates in the Horn of Africa,” Crisis Group Middle East Briefing No. 65, November 6, 2018, https://d2071andvip0wj.cloudfront.net/b065-the-united-arab-emirates-in-the-horn-of-africa.pdf. 21 “Germany to End Participation in EU Military Mission in Somalia,” Deutsche Welle, February 1, 2018, https://www.dw.com/en/germany-to-end-participation-in-eu-military-mission-in-somalia/a-42418157. 23 George Obulutsa, “World Bank Approves First Grants to Somalia in 30 Years,” Reuters, September 26, 2018, https://www.reuters.com/article/us-somalia-worldbank/world-bank-approves-first-loans-to-somalia-in-30-years-idUSKCN1M61EN.